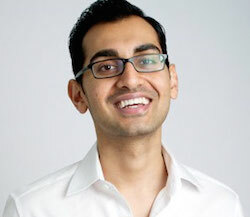 Tag Archives for " Kissmetrics "
I’ll get straight to it today – my guest for this week’s episode of the Duct Tape Marketing Podcast is Neil Patel, founder of online tools and services such as Crazy Egg, KISSMetrics, and HelloBar. Like so many things that are truly useful, Patel created his tools, and eventually his companies, in order to solve a need he had in his own marketing efforts. Along the way, he has become, in my opinion, one of the best marketing and conversion experts on the planet because he excels at testing and analyzing data. In the end, that the secret to most effective marketing. You can growth hack and try this and that to create demand but meticulously analyzing and eventually improving every element of your marketing efforts is the secret to success. There are many, many tools aimed at helping you use science and data to win, but unless you make the effort to understand and employ them you are simply guessing in your attempts to successfully market your business. As a bonus, I would be remiss if I didn’t point out one of the greatest free sources of information online: Pate’s free QuickSprout University online training courses rival most paid training – go get them! Are blogs still an effective approach for business? What advice do you give for marketers to target mobile users? When should you consider mobile PPC advertising?